Wills and Estates are inextricably linked with family relationships. Our vast experience in this area ensures sensitivity and discretion to provide our clients with quality outcomes. Colville Johnstone Lawyers maintain up-to-date knowledge of the latest developments in this complex and specialised area of the law. You work hard to build up and maintain your assets over a lifetime, so it is critical to ensure that your loved ones get the full benefit of your life work. If you don’t have a Will, your property will be divided according to a set formula, whether you like it or not. And if you don’t have any next of kin, your property will go to the State. Disputed estates are a common cause of family discord and soured relationships. Once disputes arise, they need to be resolved with the minimum of conflict and cost, while making sure your legal interests are defended to the fullest extent. Colville Johnstone Lawyers have the expertise to provide efficient, cost effective advice about a Will or an Estate matter that puts your interests first, whilst minimising potential for dispute. Making a Will is vital if you want to be certain that your wishes are met after you die. A Will is the only way to make sure your money, property, possessions and investments (known as your “Estate”) go to the people and causes that you care about. If you do not have a Will when you die, your Estate will be handled pursuant to the laws of Intestate Succession applicable in the place where you die or in the case of real property (ie houses & land) in accordance with the Intestate Succession laws of each jurisdiction where you ownthe real property. At worst your estate could pass to relatives you have never met or to the Government (bypassing your spouse of less than 2 years). if you die without a Will, there is every likelihood that your property would be distributed differently from what you would like. How you want your property, money, assets, and other valuables distributed after you die. have it signed by your 2 witnesses in your presence and in the presence of each other. If you make any changes to your Will you must follow the same signing and witnessing process. what happens if the people you want to benefit die before you. you have been divorced or have recently married. 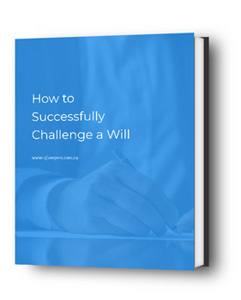 if the executor or any beneficiary named in the Will dies. You can keep your will at your home or store it with your solicitor. Colville Johnstone Lawyers offer clients free fire safe storage facilities to securely keep their important documents safe. The revocation of a Will means that it is cancelled. There are a variety of ways to do this. A will can be cancelled either voluntarily or by operation of the law. making a declaration in writing of an intention to revoke. If you want to destroy your Will and make another, you must show an intention to entirely revoke the Will. If you want to cancel your Will, it is advisable to completely destroy it. For example, burning it is a reliable method, or deleting the important parts so that it becomes unreadable. If part of the Will is found later, this could imply that the destruction of the Will was unintentional and as a result the contents of it could still remain to be valid. Traditionally, a Will was the major focus for documenting a person’s Estate Planning. These days, with progressive and ongoing changes to the way personal, investment and business wealth is owned and taxed, a person’s Will has become just one (usually, but not always important) part of the process of implementing and achieving Estate Planning objectives. Crucial Estate Planning decisions are now often made, intentionally or inadvertently, in the choice of financial products such as Superannuation and Insurance and in the ownership structures chosen for investment and business assets, the protection of assets and the minimisation of tax. Failure to give attention to, or to implement, estate planning can lead to a reduction in the wealth passed on to intended beneficiaries or even cause unnecessary tax liabilities or the foregoing of pensions. It can even result in benefits passing to the wrong beneficiaries, eg estranged or unethical children or other relatives, former spouses, creditors. There seems little point diligently accumulating wealth if the wrong person ultimately benefits. "Joint Tenancy" vs "Tenancy in Common"
Property of any sort whatsoever held by persons in joint tenancy passes automatically to the survivor or survivors upon the death of the first to die and no joint tenant has the power to dispose of his or her interest by Will. A joint tenancy is not severed by a gift of the joint interest made by Will. Joint tenancy is the form of ownership of land used by most couples who buy realty. In contrast, a tenant in common can gift their interest in land by Will. Joint bank accounts are a common method of allowing two or more persons access to the same deposits in the one account. Instructions are usually given by customers to the Bank that enable each person to draw on the account and the Bank may request all account holders to execute a document in which they acknowledge that the survivor is the legal and beneficial owner of the balance. *An interest in a joint tenancy in respect of real estate devolves upon the survivor upon the death of the other but the position of the survivor in respect of a joint bank account is often far less certain and can be affected by how the account operated and by the intentions and arrangements of the account holders. Where a person contracts to take a life assurance policy where that person nominates a person or persons as the beneficiaries entitled to receive the proceeds of the policy upon the death of the assured, the contract is not testamentary in nature and the interest in the policy does not normally pass by a policy owners Will. However, if no nomination is made by the insured or the nominated beneficiary fails to survive the policy holder, the life assurance policy proceeds may be deemed to belong to the deceased person and the proceeds will pass to his or her estate upon death to be disposed of by his or her Will. A member may request and bind trustees to pay benefits at death to a nominated person or persons if the rules of the trust proclaimed by deed allow such a procedure. This form is called a binding death benefit nomination (BDBN). Most industry funds hold these forms on their web address. Self Managed Superannuation Funds (SMSF’s) will often refer to the form of BDBN in their trust deed. Once a member expressly nominates the beneficiary or beneficiaries and the amount for each, signs the form personally, date it and has it witnessed by two persons who declare that it was signed in their presence it must be submitted to the Superannuation trustees to acknowledge receipt of the BDFN (many funds are very pedantic as to the use of their forms and will acknowledge a BDBN has been received until all their requirements as to completion and processing of the BDBN form have been satisfied). A BDBN is usually binding for a period of 3 years or by the period allowed in the rules of the fund. A binding nomination may be amended or revoked by notice to the Trustee. An Enduring Power of Attorney (‘EPOA’) is a document which confers on another person or persons the right to look after an individual’s affairs. The Donor is the person who made the EPOA and has given to another person orpersons the right to look after the Donor’s financial affairs. The Attorney(s) is a person or persons who receive power under an EPOA to manage theDonor’s affairs. Any Attorney must have been at least eighteen years of age and cannot have been bankrupt when they agree to accept the authority of the Power. not be service provider for a residential service where you are resident. Once the EPOA document is complete, Attorneys can use it to do anything with the Donor’s financial affairs that that person can do themselves, including selling property and operating bank accounts. A valid EPOA must be set out in the legally required format, including a ‘certificate’ section that must be completed by an independent person to confirm that you, as the donor (the person making the EPOA), understands the powers being donated under the document and is not under pressure. The ‘Property and Financial Affairs‘ EPOA – You appoint Attorney(s) to take care of your property and affairs. The ‘Health &Welfare‘ EPOA – You appoint Attorney(s) (which can be different to the attorneys for Property & Financial Affairs) to take care of your personal welfare and healthcare. You can prepare a long or short form of the EPOA to cover both types of appointment in one instrument. What decisions can be made for you by an Attorney? As the donor you can revoke or cancel your EPOA as long as you have the mental capacity to do so. If there is any dispute about whether your EPOA has been cancelled or ended, the Queensland Civil and Administrative Tribunal has the authority to make a decision. If your attorney is your spouse or civil partner, the dissolution or annulment of a marriage or a civil partnership will end their appointment or revoke the power, unless you have specifically stated otherwise in your EPOA. A Property and Financial Affairs EPOA is revoked if you or the attorney(s) are made bankrupt, but bankruptcy does not terminate a Health & Welfare EPOA. If you marry, your existing EPA will automatically be revoked unless your attorney is anyone other than your spouse. If your spouse is already your attorney but you had assigned power to more than one attorney, then those other attorneys will have their power revoked. This will result in automatic revocation of your ex-spouse’s power of attorney. If you appointed other attorneys, their power will remain intact. Your death will result in automatic and complete revocation of your EPA. Attorney becomes healthcare provider or paid carer. If your attorney becomes your healthcare provider or paid carer, their power of attorney is automatically revoked. Attorney becomes incapable. If your attorney loses the capacity to act on your behalf, their power is automatically revoked. Attorney becomes bankrupt, insolvent, or dies. All of these circumstances result in automatic revocation of your attorney’s power. Attorney’s power is suspended or revoked. The Office of the Public Guardian, the Queensland Civil and Administration Tribunal and the Supreme Court have different roles in supervising the activities of an attorney including suspension, revocation or termination of a power. A discretionary trust arrangement is one in which the assets provided to beneficiaries are not fixed in the trust instrument. Instead, criteria are generally given as instructions to the trustees, who will use their discretion to determine how the assets in the trust are disbursed, and to whom. Discretionary trusts are often established to help ensure that dependants are provided for after the death of an individual, particularly when those dependants are too young to make their own financial decisions. If you have a particularly complex succession plan, a discretionary trust can provide the flexibility you need. This is particularly useful because you can appoint beneficiaries who have not even been born yet. Discretionary trusts can help to ensure that your dependents’ financial situation is protected from unforeseen circumstances. Trustees have the freedom to appoint assets and beneficiaries as they see fit, within the criteria set out in the trust instrument. If you have assets that you anticipate will grow at a faster rate than the government can tax them, a discretionary trust can help to mitigate the resulting tax burden for generations of your decendants. How do I set up a testamentary discretionary trust? Discretionary trusts are often testamentary, and are therefore frequently outlined in an individual’s will. This can be a complex process, and you should always have a solicitor draft the document for you. Testamentary trusts provide a useful means by which assets can be protected for dependents and other beneficiaries who may not be of an age to make their own financial decisions. Depending on the nature of the trust agreement, you can often appoint a trustee with the power to determine how assets are disbursed. This can make testamentary trusts a very flexible option. Are you looking for a long term low cost solution? Testamentary trusts are traditionally significantly less expensive than family trust arrangements. They can often be prepared at the same time that a Will is drafted. How do you identify a responsible potential trustee or appointor? Trustees and appointors are perhaps the most pivotal part of any testamentary trust agreement. Given that you will not be around to see your wishes carried out, it is vital that you find a trustworthy and responsible trustee and suitable appointor. If you are establishing a discretionary trust, in which the trustee will have significant powers to decide how assets are disbursed, you may wish for this to be someone close to you and your family. The appointor can change the trustee at any time to protect the trust and to ensure your testamentary wishes are safeguarded. Testamentary Discretionary trusts are certainly not for everyone. Some people simply do not need a testamentary trust; provisions in a will should be sufficient in many cases. If you have simple affairs and no young dependants a simple will is probably enough. The establishment of a testamentary trust can have significant implications for your future legal and financial situation. It is therefore vital that you seek professional advice before taking any action. It is common for your solicitor to deal with you and your family, your tax and accounting service providers and your financial planner, life insurance company and Superannuation trustee. The solicitor who prepares a testamentary discretionary trusts must ensure your personal and financial affairs are integrated closely with your testamentary wishes. A testamentary discretionary trust will invariably fail to achieve your objectives if it is bought off the shelf and filled in without regard to your true circumstances. An AHD is a decision you can make now to refuse a specific type of treatment at some time in the future. It lets your family, carers and health professionals know your wishes about refusing treatment if you’re unable to make or communicate those decisions yourself. The treatments you’re deciding to refuse must all be named in the advance decision. An advance decision isn’t the same as an advance statement. Read about advance statements. Deciding to refuse a treatment isn’t the same as asking someone to end your life or help you end your life. Euthanasia and assisted suicide are illegal in Queensland. You would want to discuss this with a doctor or nurse who knows about your medical history before you make up your mind. As long as it’s valid and applies to your situation, an AHD gives your health and social care team clinical and legal instructions about your treatment choices. An AHD will only be used if, at some time in the future, you’re not able to make your own decisions about your treatment. Who should see your AHD?